Biometric systems have made a significant impact on personal identification and authentication practices worldwide. This technology has not only changed the way people are identified, but also dramatically reduced time taken by identification and verification processes. Verification of a claimed identity does not take more than a few seconds with biometrics, while with traditional methods, it could even take several days. Running an identification query on a biometric database with millions of records has also become much faster with the development of advance computing machines. In some industry verticals like banking, finances, telecom, etc. knowing the customer (KYC) is an important aspect to safeguard services from potential misuse. For example: an imposter can misuse someone else’s identity and get a credit card or a new phone connection for illicit purposes. Biometric identification has curbed identity theft and other identity related crimes to a certain extent, as with biometric identity it becomes nearly impossible to imitate one’s physiological and behavioral characteristics. On the other hand, traditional card and document based identity requires only a few copy/paste and edits to manipulate someone else’s identity. A biometric system is a technology powered setup that extracts data out of biological or behavioral patterns of a person (or other biological organism) to identify that person. Biometric systems rely on specific biological patterns in order to work. It will run data through algorithms to obtain a particular result, usually related to a positive identification of a user or other individual. Swift identification and authentication is made possible only by ever improving biometric systems. Let it be government organizations, private outfits or institutions setups, biometric systems has been widely adopted by organization of all sizes and shapes to improve and expedite personal identification practices. These systems have been constantly worked on by researches to address inadequacies and improve performance. With increasing threats and growing requirements of additional security, researchers are constantly at work to take the biometric security to the next level. Biometric systems play the central role in all biometric identification and verification as it is the biometric systems that make it possible to identify individuals with their physiological or behavioral characteristics. Biometric traits of a person can be sorted in two categories: Physiological and Behavioral. Physiological traits are biological patterns found on and in the human body, for example: face, fingerprints, iris patterns, DNA, hand geometry, etc. On the other hand, behavioral patterns develop over time and become a consistent characteristic, for example: signature, voice, gait, typing rhythm, etc. 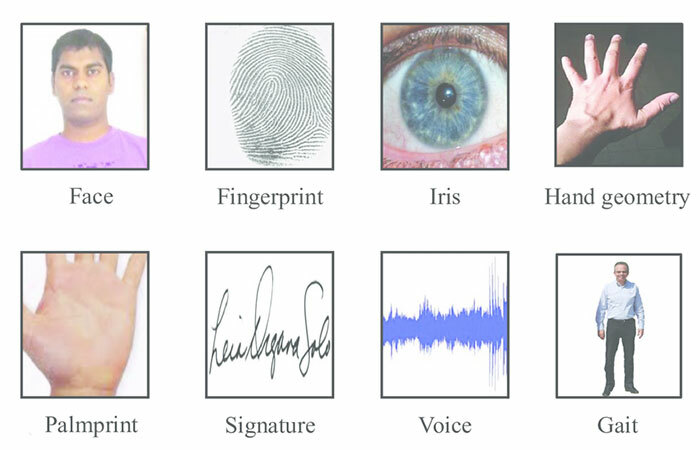 Type of a biometric system depends on the biometric feature it uses to recognize an individual. 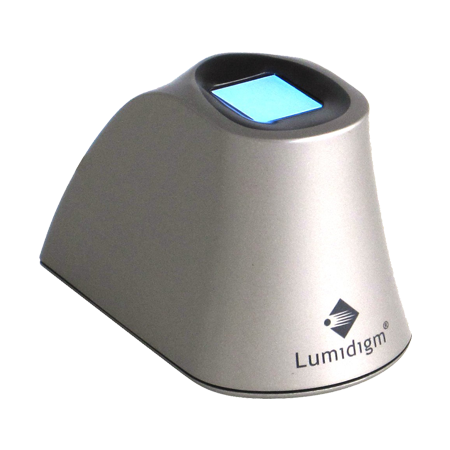 Fingerprint recognition system: uses fingerprint patters to recognize individuals. Facial recognition system: leverages fact that each human being has a different facial structure. Speaker recognition system: unique voice print is used to enroll and identify/verify individuals. Iris recognition system: leverages the unique iris pattern to recognize people. Vein pattern recognition system: maps unique vein pattern to identify an individual. Hand geometry recognition system: maps geometry of hand to recognize individuals. Signature recognition system: uses signature dynamics to recognize people. DNA recognition system: leverages uniqueness of DNA to recognize individuals. Retina recognition system: maps unique pattern of blood vessels in retina. Gait recognition system: maps gait patterns to identify an individual. Thermogram: maps heat pattern to identify an individual. Keystroke recognition system: maps unique keystroke rhythm to identify an individual. Ear geometry recognition system: maps ear geometry which is believed to be unique to an individual. Skin reflection recognition: leverages the fact that absorption spectrum of the skin depends on the individuals. Lip motion recognition: compares the characteristic lip motions of people while they speak. Body odor recognition: leverages the fact that people with differing immunity genes produce different body odors. 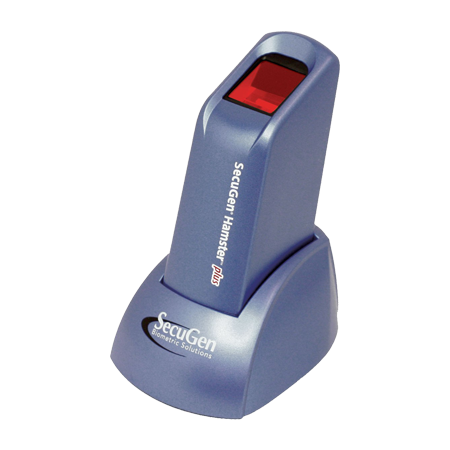 A biometric system is designed specifically to map a particular biometric trait, i.e. fingerprint recognition systems cannot process iris or retina patterns. However, all biometric systems work on the principle of mapping patterns with the help of technology. A person’s physiological or behavioral patterns are mapped, stored and compared at a later date to verify or identify the owner of the pattern. 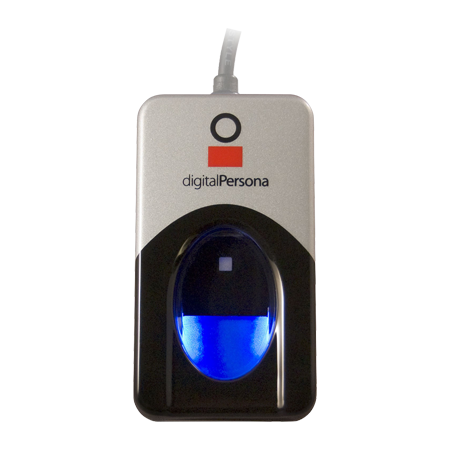 Biometric system consists of both hardware and software elements. Hardware generally includes electronic components and sensors to be able to read data out of specific patterns, software portion makes use of algorithms to enhance and recognize this data to generate a template unique to the individual it comes from. Biometric system architecture is the representation of a system as a whole, including a mapping of functionality onto hardware and software components, a mapping of the software architecture onto the hardware architecture, and human interaction with these components. Different biometric recognition systems may have different set of sensors, sub-systems, algorithms, to achieve the objective of specific pattern recognition and matching. Here we are covering architecture of a biometric access control system for restricted areas based on individual finger print. Digital image of fingerprint patterns is captured by an electronic device called a fingerprint sensor. The captured image is called a live scan. This live scan is digitally processed to create a biometric template. A biometric template is a collection of extracted minutiae points, which is stored in a biometric data base and used for identification and verification. 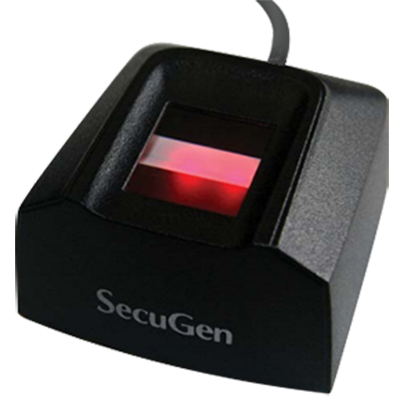 Fingerprint scanner is a vital part of a data capture sub-system of a biometric system and other sub-systems depends on the data sampled by it. Fingerprint sensors are improving as technology advances, still there may be certain conditions that can adversely affect the scanned fingerprint image. These image shortcomings are addressed by image processing sub-system. Extraction of minutiae from the scanned fingerprint image is a crucial stage. However, the performance of a minutiae extraction algorithm relies heavily on the quality of the input fingerprint images. 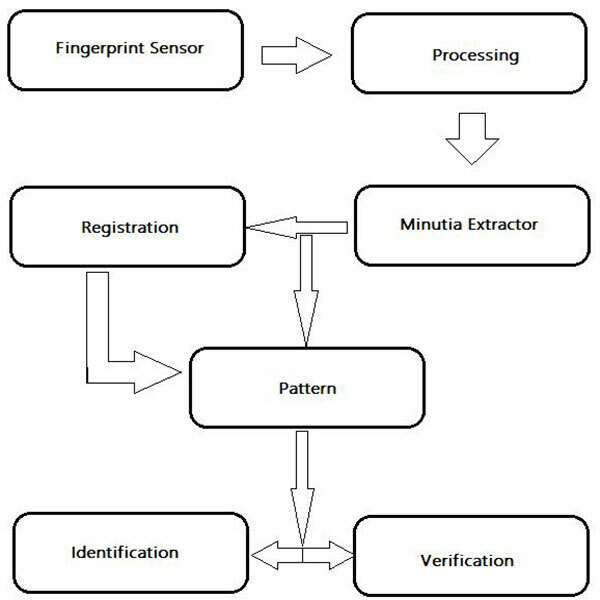 In order to ensure that the performance of an automatic fingerprint identification/verification system will be robust with respect to the quality of the fingerprint images, it is essential to incorporate a fingerprint enhancement algorithm in the minutiae extraction module. Image segmentation, Normalization, Orientation Estimation, Ridge Frequency Estimation, etc. are the techniques applied to enhance the image quality in terms of usability for minutia extraction. Most minutiae extraction algorithms operate on binary images where there are only two levels of interest: the black pixels that represent ridges, and the white pixels that represent valleys. Binarization is the process that converts a grey level image into a binary image. The final image enhancement step typically performed prior to minutiae extraction is thinning. Thinning is a morphological operation that successively erodes away the foreground pixels until they are one pixel wide. The most commonly employed method of minutiae extraction is the crossing number (CN) concept. This method involves the use of the skeleton image where the ridge flow pattern is eight-connected. The minutiae are extracted by scanning the local neighborhood of each ridge pixel in the image using a 3 x 3 window. False minutiae may be introduced into the image due to factors such as noisy images, and image artifacts created by the thinning process. Hence, after the minutiae are extracted, it is necessary to employ a post processing stage in order to validate the minutiae. A minutiae validation algorithm is employed for the purpose. For example, the minutiae validation algorithm by Tico and Kuosmanen tests the validity of each minutiae point by scanning the skeleton image and examining the local neighborhood around the point. Given two sets of minutia of two fingerprint images, the minutia match algorithm determines whether the two minutia sets are from the same finger or not. It includes two consecutive stages: one is alignment stage and the second is match stage. In the alignment stage, given two fingerprint images to be matched, choose any one minutia from each image; calculate the similarity of the two ridges associated with the two referenced minutia points. If the similarity is larger than a threshold, transform each set of minutia to a new coordination system whose origin is at the referenced point and whose x-axis is coincident with the direction of the referenced point. And in match stage, after we get two set of transformed minutia points, we use the elastic match algorithm to count the matched minutia pairs by assuming two minutia having nearly the same position and direction are identical. Biometric system architecture defines fundamental organization of a biometric system, embodied in its components, their relationships to each other and to the environment, and the principles governing its design and evolution. System architecture is the conceptual model that defines the structure, behavior, and more views of a system. Keeping things right is crucial in biometric systems architecture as a flaw in any component or sub-system can adversely affect the overall system performance. An efficiently designed biometric system serves what it is designed for. If we get down to the business, biometric systems save time, a lot of it. Expedited identification and verification processes help people clear queue faster and save time. Biometric systems are making world a better place, aren’t they?